Product prices and availability are accurate as of 2019-04-22 10:48:49 UTC and are subject to change. Any price and availability information displayed on http://www.amazon.com/ at the time of purchase will apply to the purchase of this product. Wings ePress are currently offering the fantastic Too Small For A Gate at a brilliant price. Don't miss out - purchase the Too Small For A Gate here now! When Janiece felt the familiar thump of the railroad tracks under her car she knew she was back home. She looked at the forbidding funeral home as she passed and prayed she would be strong enough to handle the new challenges in her life. Too Small For A Gate is a heart-warming story. There were so many moments that I could actually relate. At times I began to wonder if some members of my family had entered the scene, especially the part about the cake. My heart could only go out to Janiece. When she walked to the open casket, I got teary-eyed; it reminded me of so many close-knit things that have happened in my life. The way Janiece had to decide what course to take in life, while living with so many personal issues, makes this story genuine. All the characters in the story are well rounded and the dialogue flows smoothly, making this an excellent book to read. 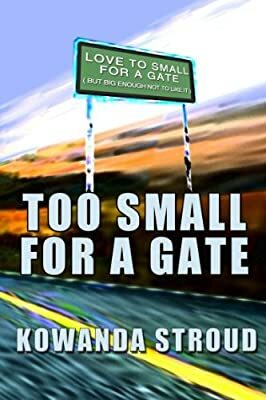 Ms. Stroud writes a gripping story that touches the heart, that recalls memories, and makes the reader sometimes want to jump through the pages and shake a few people to their senses. Her writing is so original with every turn of the page. This is my first book by Ms. Stroud and it promises not to be my last.